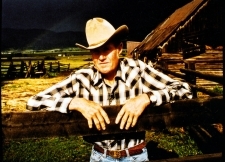 Vernon Summer, Routt County native and rancher, and lifetime supporter of the Tread of Pioneers Museum. Planned gifts allow you to make contributions to secure the future of the Tread of Pioneers Museum and preserve the history of the Yampa Valley while at the same time offering a variety of tax benefits. These options also allow you to change your mind at a later date without affecting your current financial situation. This partial list below provides an overview of some ways you can help establish a legacy with the Tread of Pioneers Museum. The information below does not constitute tax or legal advice. Please consult your attorney, financial advisor or estate planner to determine the right approach for your situation. For additional information on making a planned gift to the Tread of Pioneers Museum, please contact our Executive Director, Candice Bannister here. These options can be performed in a few minutes with easy-to-complete forms obtained from the company that administers your plan, policy or account. They are the easiest options for making a legacy gift to the Tread of Pioneers Museum. Consider listing the Tread of Pioneers Museum as a percentage beneficiary of an Individual Retirement Account (IRA), workplace-sponsored retirement plan or other retirement accounts. Even a small designation for charity (1%-5%) can result in a substantial legacy gift. Due to estate taxes, the balance of your retirement account may be worth much more to the museum than to your heirs. Consider making the Tread of Pioneers Museum a percentage beneficiary of a life insurance policy, or make the museum a contingent beneficiary that will only be paid out if all of your primary beneficiaries are no longer living. Some companies provide employees with a small life insurance policy. Non-retirement investments (eg. stocks, bonds, securities) and bank accounts can in some states be transferred directly to charities upon death using a �payable-on-death� (POD) or �transfer on death� (TOD) form. Wills and trust documents are among the most common tools utilized to leave money to charitable causes. Preparing these documents generally involves your attorney, estate planner, or other financial planner. There are several bequest types that can be utilized to donate assets to the Tread of Pioneers Museum through your will, or revocable trust. Options include giving the Tread of Pioneers Museum a set dollar amount, a specific percentage of your estate, the residual amount remaining after other bequests have been paid, or only if your primary dependents do not survive you. 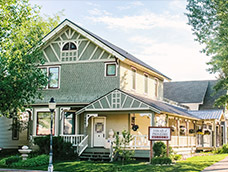 When filling out your legacy gift forms and documents, please reference: �The Tread of Pioneers Museum, located in Routt County, Colorado.� Our federal tax identification number is 84-0378270. It is helpful if you share your bequest plans with the museum�s Executive Director to ensure that the language used will reflect your wishes. There are a number of more complicated estate planning tools, including Charitable Remainder Trusts (CRT), Charitable Gift Annuities (CGA), Charitable Lead Trusts (CLT) and many others. Your attorney or estate planner can contact the museum�s Executive Director here if you are interested in setting up one of these giving vehicles.